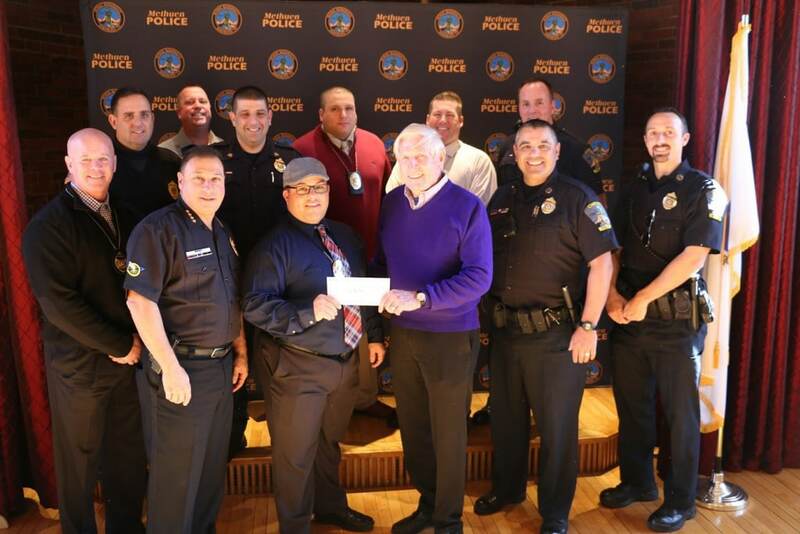 METHUEN — Chief Joseph Solomon is pleased to announced that the Methuen Police Department and Methuen Police Patrolman’s Union presented a check for $3,400 to Cops for Kids With Cancer last week. On Friday, Dec. 4 at the Methuen Police station, the department presented the check to Robert P. Faherty, retired Superintendent-in-Chief of the Boston Police Department and Chairman of the Board for Cops for Kids With Cancer. Last month, many officers participated in “No-Shave November” and made donations to grow their facial hair for the month of November — at least 24 officers grew their beards. The department raised $1,700 as a result of the fundraiser, and each donation was matched by the Methuen Police Patrolman’s Union resulting in a total donation of $3,400 to the charity. 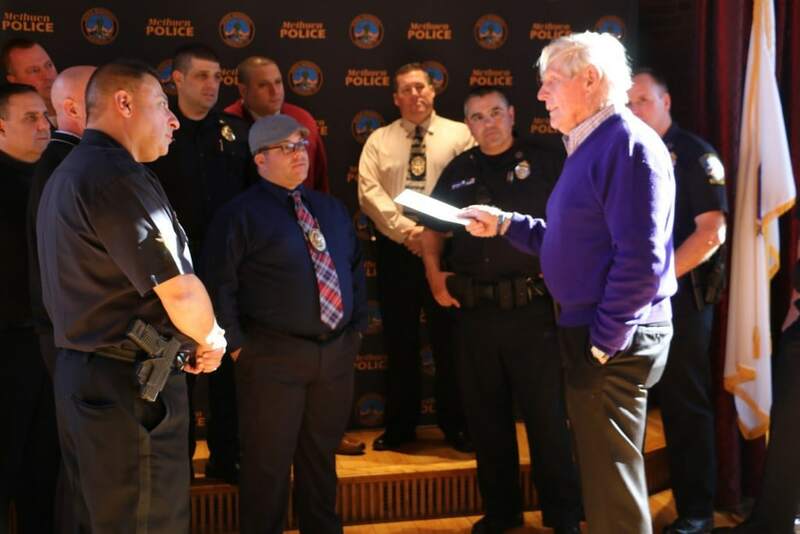 During his visit to the police station, Faherty spoke about the families of children with cancer that he would be meeting with in the near future and how much the departments contribution will help one of these families.